The automotive industry is facing significant change—with the next generation of products, services, and business models transforming the way people think about transportation. Whether you see this change as disruption or innovation, embracing the change is a must to remain competitive. So, how is the world’s fastest growing automaker embracing change? By leveraging digital industrial applications, Subaru is not only increasing its production to meet customer demand—it’s doing it in record time. Subaru of Indiana Automotive, Inc. (SIA), sits on 820 acres of land in Lafayette, Indiana. The 3 million+ square foot plant manufacturers four models for Subaru: Ascent, Outback, Legacy, and Impreza. In 2017, SIA produced around 342,000 cars. To put that into perspective, they typically roll a new car off the production line every minute. That’s a lot of cars! And, with almost 17 miles of conveyor—there are literally a lot of moving parts to keep functioning properly. With this size facility and production and quality demands always increasing, the company knew it needed better visibility into real-time data in order to work toward its goal of zero unplanned downtime. 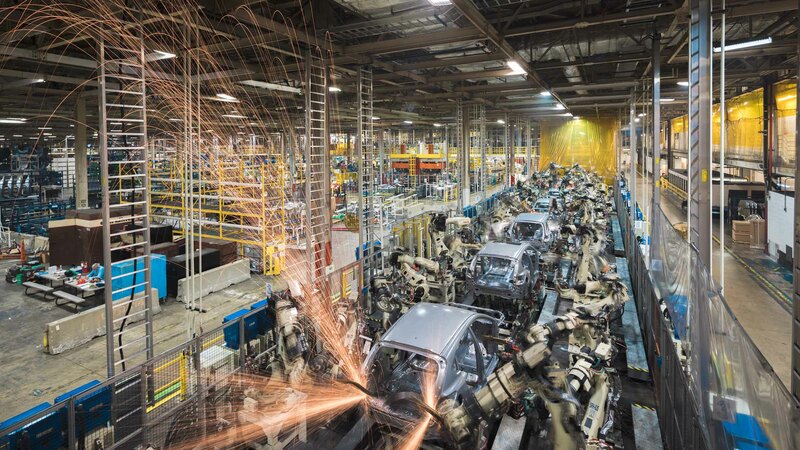 For the last 12 years, Subaru has utilized iFIX and Historian from GE Digital in certain parts of its manufacturing process to improve uptime, increase use of real-time data, leverage predictive analytics, and monitor quality. Without these industrial applications, the company says it would not be able to run at the production rates it currently does. Take its paint shop, with 1,400 motors pushing cars around the facility—the team can now see how each motor is operating and identify issues quickly (and often remotely), which has drastically increased efficiency. Subaru is also making better use of historical data captured in the software. If a car produced 6 months ago has an issue, the team can now go back and look at that specific car to see how it was assembled and if there is any room for improvements and adjustments in the manufacturing process. This ensures new vehicles won’t have the same issues. Previously, this is the type of data that would have been near impossible to leverage, due to the production volume at the facility. In fact, our industrial applications are helping Subaru meet production and quality targets like never before—and delivering industry-record turnaround times between customer orders and delivery for the Subaru Legacy model— in just 24 days. So what’s next for Subaru? 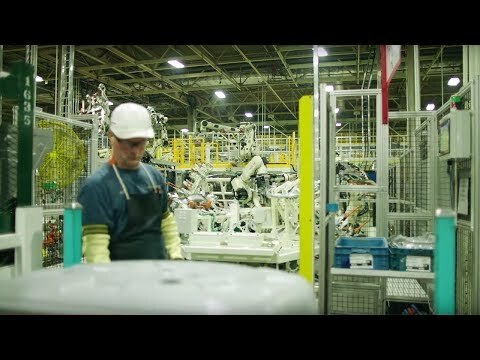 Looking to always improve and innovate the manufacturing process with digital technologies, SIA plans to expand its use of iFIX to other parts of the plant, increase use of Web HMI and tablets on the plant floor for greater efficiency and productivity, and leverage new alarm data to enable proactive maintenance. Just as consumers are adjusting their view of transportation, Subaru is also adjusting how it manufacturers to better embrace digital technologies and innovation. Want to hear more about Subaru’s digital transformation journey? Join Trent Lester, Group Leader for Integration of Production Control Systems at SIA, who will be speaking at the Automation World Conference and Expo in May 2019. Scott Duhaime is Senior Product Manager at GE Digital in Foxboro, MA, and has commercial responsibility for automation products such as iFIX, Webspace, Win911, Batch, and ROB-EX Scheduler and formerly Historian and GlobalCare (now Acceleration Plans). Scott joined GE in 2007, and brings 20+ years of experience in software and web hosting services, sales, and marketing. To meet its goals of zero losses or downtime, Subaru uses iFIX from GE Digital as its HMI/SCADA for plant-wide monitoring and control. How can we help you with your manufacturing challenges?